Il Restorante is the in-house Italian restaurant of the upmarket Bvlgari resort in Bali. It typically reserves the bulk of its seats for in-house guests and it can be quite hard to secure a table if one is not staying at the resort. 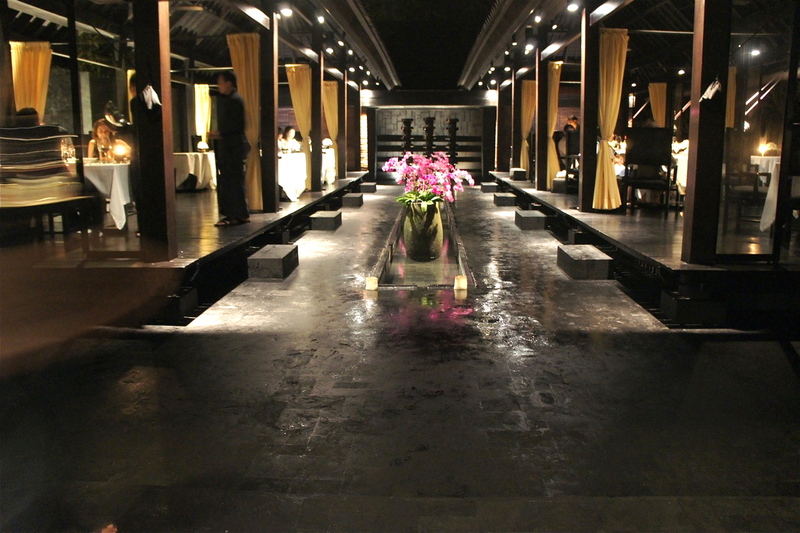 The tables are set in two sections, separated by a long canal-like water feature and located in two separate elongated pavilions. It appeared to us that the tables facing the sea on the right were reserved for resort guests whereas some tables on the inside were for outside diners. We were staying at the resort this time and could easily get a table. 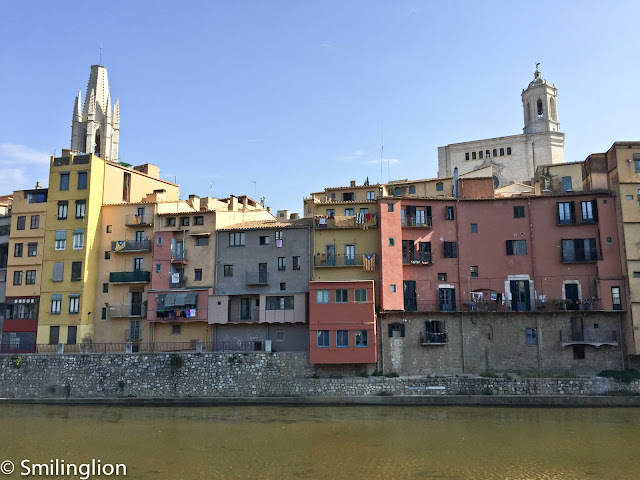 It was non-airconditioned and was pleasant during the 'winter' months when it was cool, especially in the evenings. However, we could imagine that it could get quite hot and muggy during the 'summer' months. 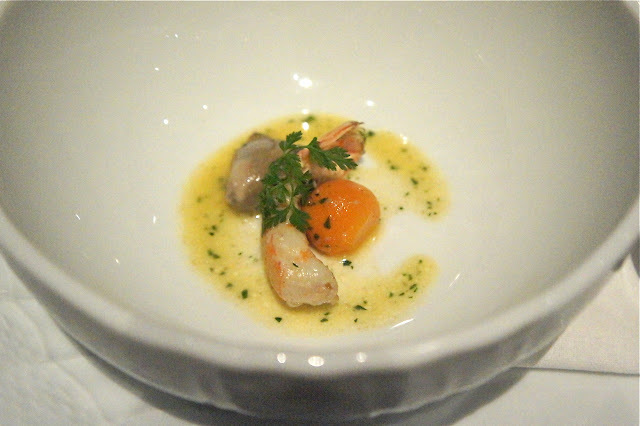 Bali is not known for its fine-dining. There are a few popular serious European/Australian restaurants like Mozaic in Ubud, Metis and Warisan at Seminyak and Ku De Ta at Legian but somehow we have never thought them as fine-dining establishments. 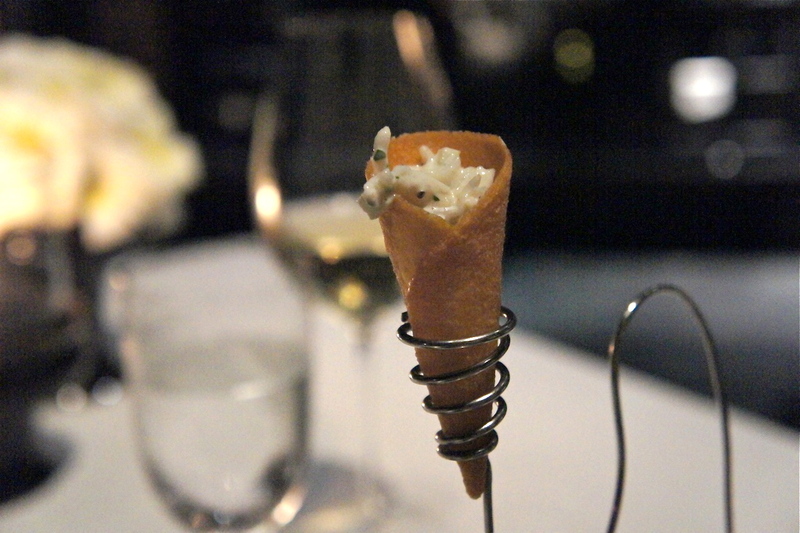 The Bvlgari restaurant attempts to reach those heights with an ambitious menu and proper tableware. 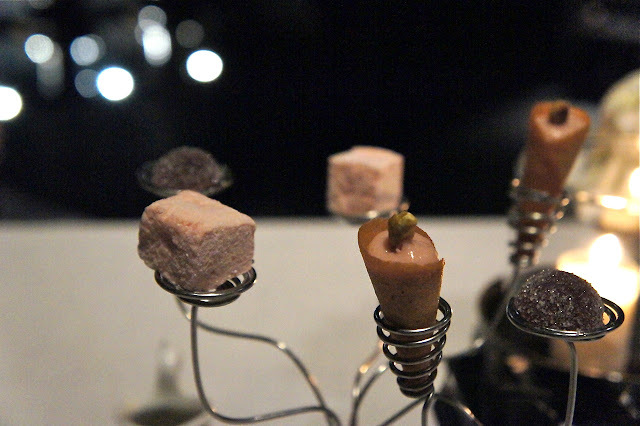 The amuse bouche was an interesting apparatus on which there was a row of sushi each with a fruit peel on it which gave it a slightly tangy flavour to simulate the taste of wasabi. 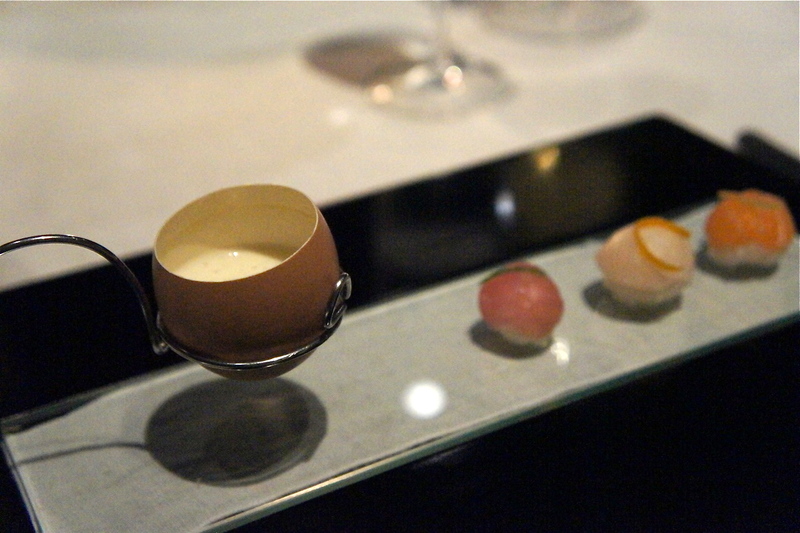 On the high stand was a pastry roll filled with crab meat and on the lower stand, a cream and egg custard which was the best of the 3. Overall, it did not blow us away but was a decent effort nonetheless. 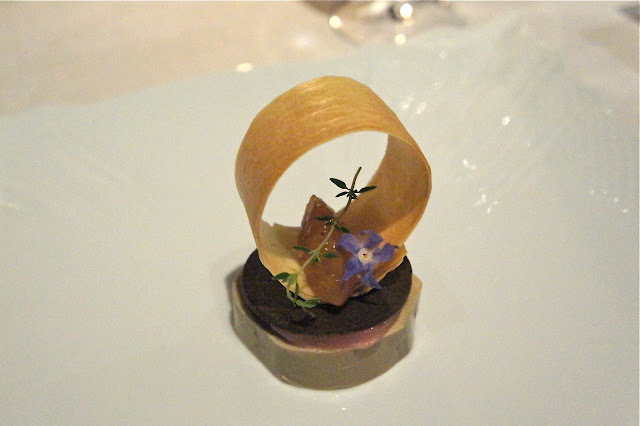 Foie Gras Terrine, Pineapple, Peaches and Cognac, Chocolate Tuile, Butter Seared Brioche - Very good. The foie gras au torchon was done well (though I thought the chef could have cut off the oxidised surface) and the dark chocolate was a surprisingly good accompaniment. 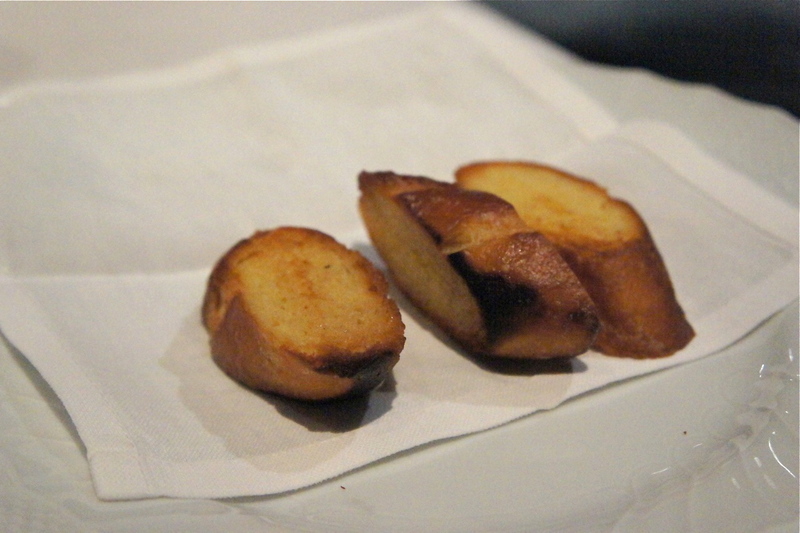 The brioche was nicely toasted but slightly too oily though. Lavender Marinated Butter Fish, Soya Sauce, Candied Ginger, Toasted Sesame Seeds, Borage Flower - This was another very good dish. 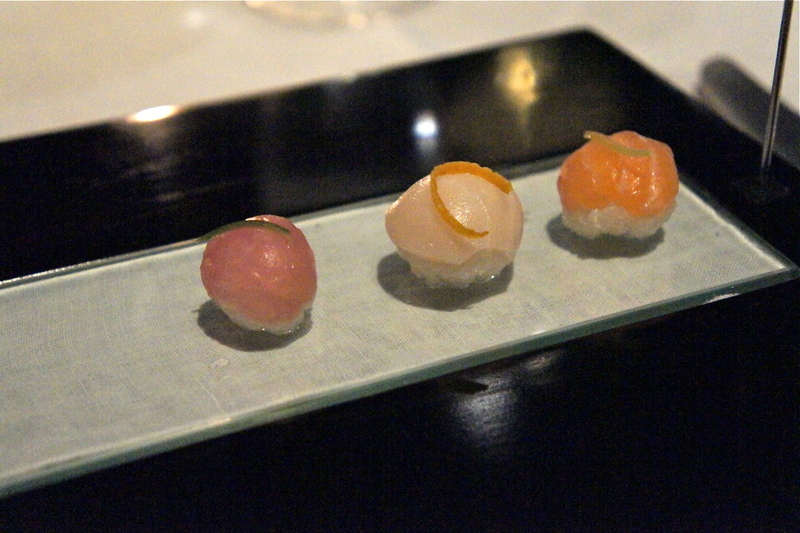 The raw fish was matched very well with the ginger and soya sauce jellies which were very innovative. It reminded us of how dipping sashimi into soya sauce would taste like. 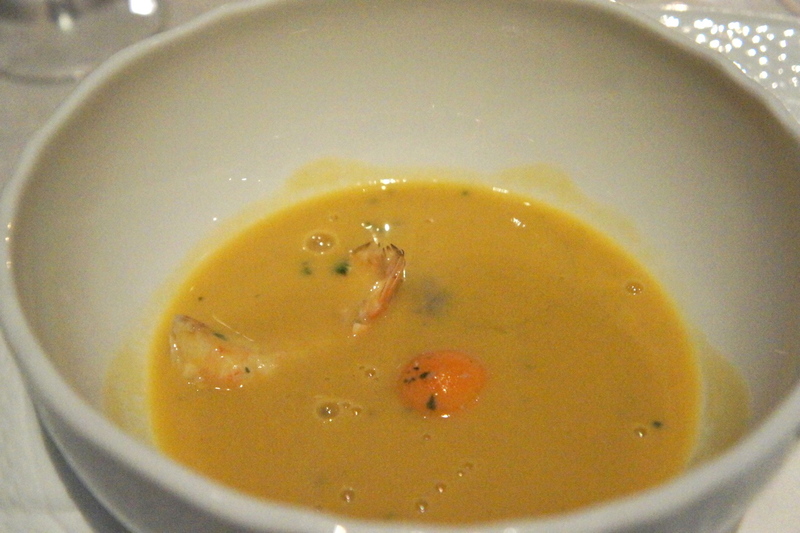 Topinambur Soup with Poached Oysters and Langoustines - This was not a remarkable dish. There were small pieces of langoustine and oyster and the service staff did not know how to pour the soup, resulting in the dish looking rather unappetising (see below the before-and-after). For all the effort into the menu and the tableware, the service staff were still essentially resort restaurant staff and there was a distinct lack of fine-dining service training. 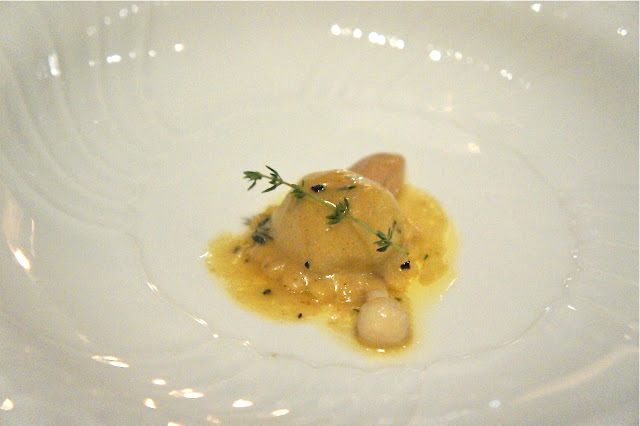 Langoustines and Truffle Ravioli, Mushroom Mousse and Light Langoustines Bisque - This was pretty good, though we wish there was more than one piece of the ravioli. 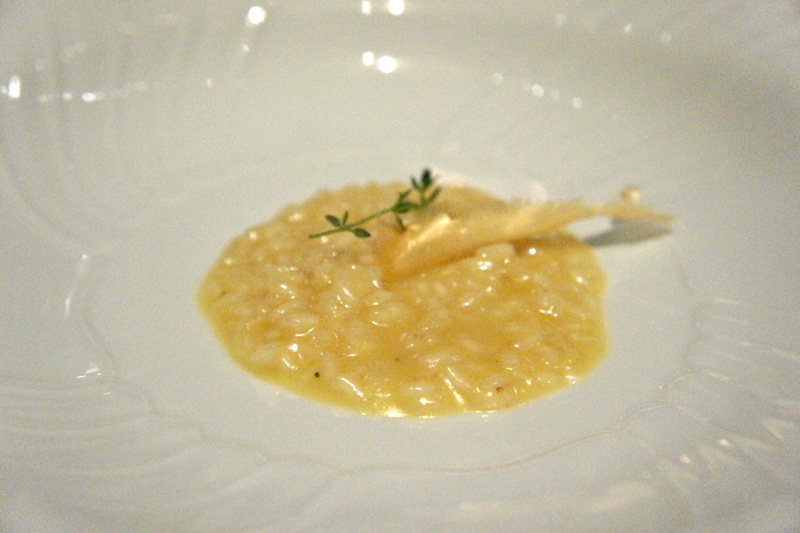 Alps Castelmagno Cheese Risotto - I love a properly cooked risotto. This was one of them. 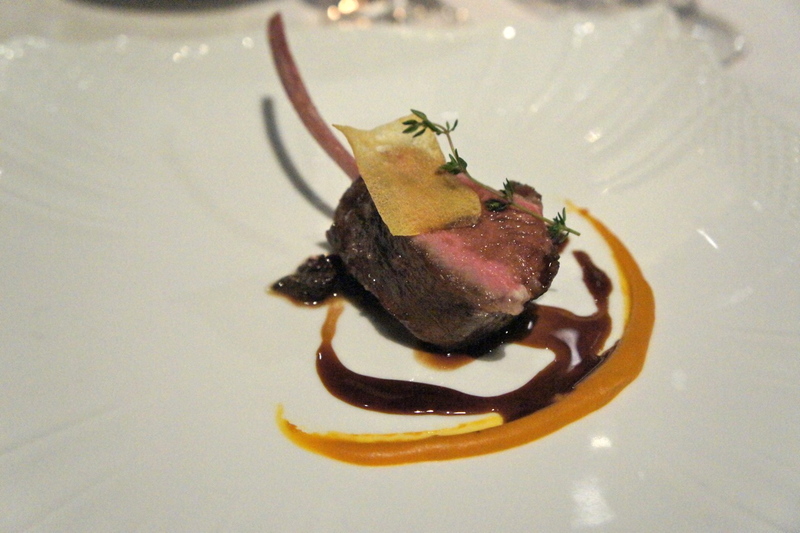 Slow Cooked Lamb Rack and Braised Shank with Fresh Wild Mushrooms, Pumpkin Puree - This was an excellent main. The lamb was cooked to perfection and was both tender and flavourful. 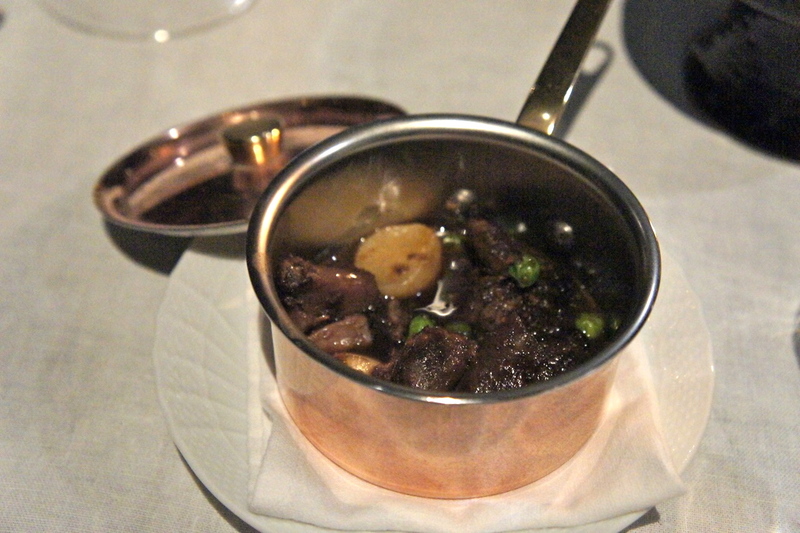 This dish was accompanied by a pot of lamb shank in case we didn't feel full after just one rib of lamb. 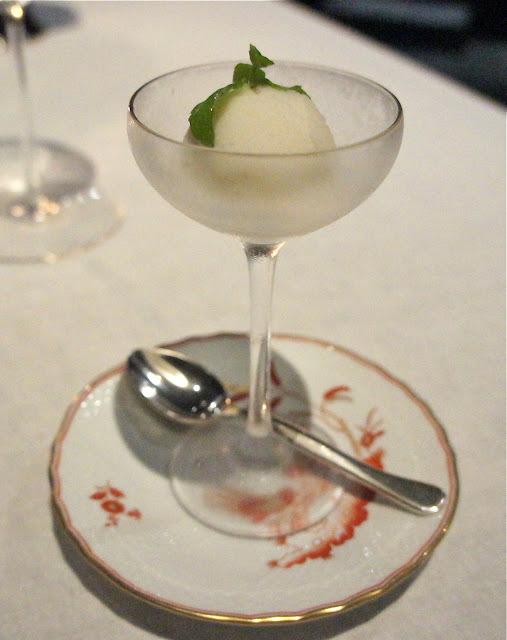 Mint sorbet - This was an appropriate palate cleanser to prepare us for dessert. 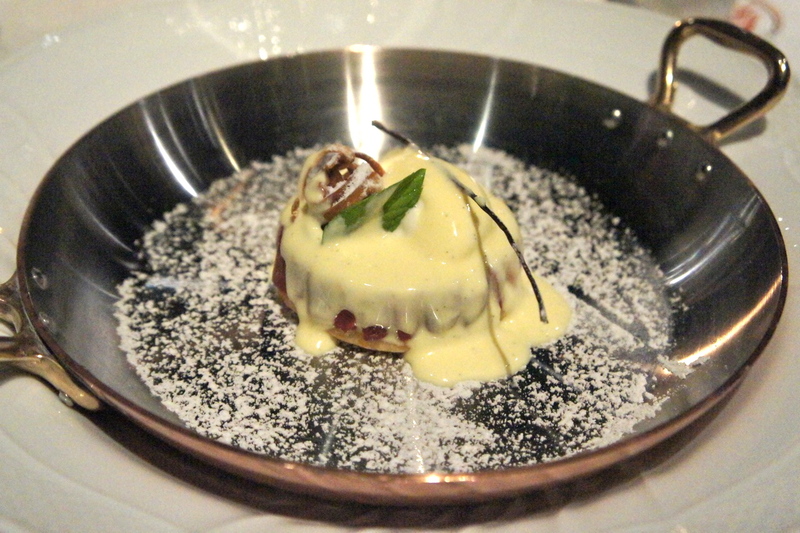 Warm Rhubarb Tartin Cake, Yoghurt Ice Cream, Crunchy Orange Tuile - A very good dessert to end off the meal. I loved the rich vanilla cream which was poured over the cake and ice-cream. 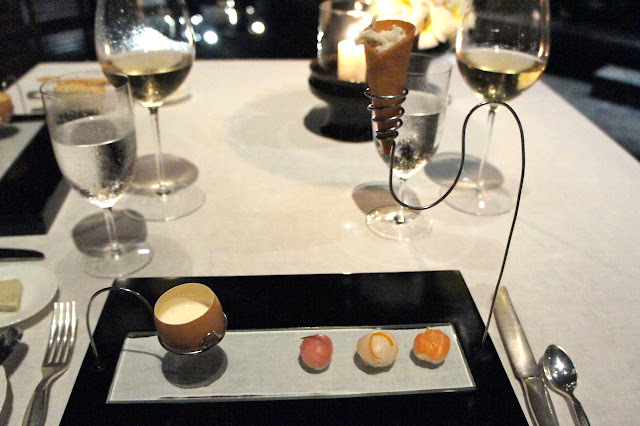 The petit fours were not bad too. I particularly liked the marshmallows. Final Thoughts: Not going to win any dining awards anytime soon but managed to achieve a respectable effort in putting together a fine-dining meal. Cooking was good though we felt the portions were tad bit small. Chef demonstrated solid cooking skills with some innovation. 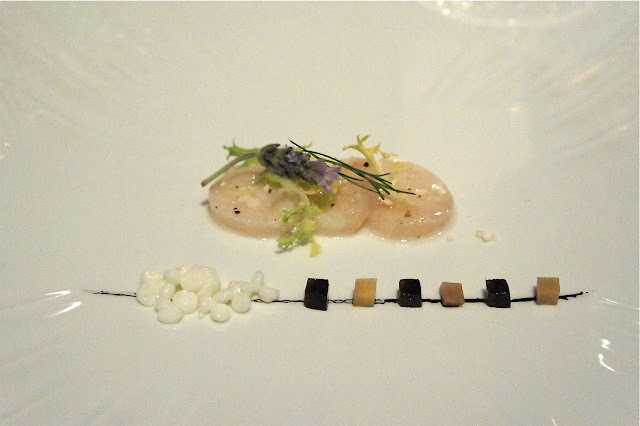 Wine list was limited and expensive and service was enthusiastic but basic. Probably our best non-Asian meal in Bali and this was appropriate given that we were in probably the best resort in Bali.